With it being the last week that students attend the ALC for this school year, we would like to take time out to say CONGRATULATIONS TO ALL THE SENIORS FROM THE 5 HIGH SCHOOL'S THAT ATTENDED THE ALC! We have taken the month of May to honor them with a display in our front entry way. The display has pictures of every Senior who had a senior picture taken. 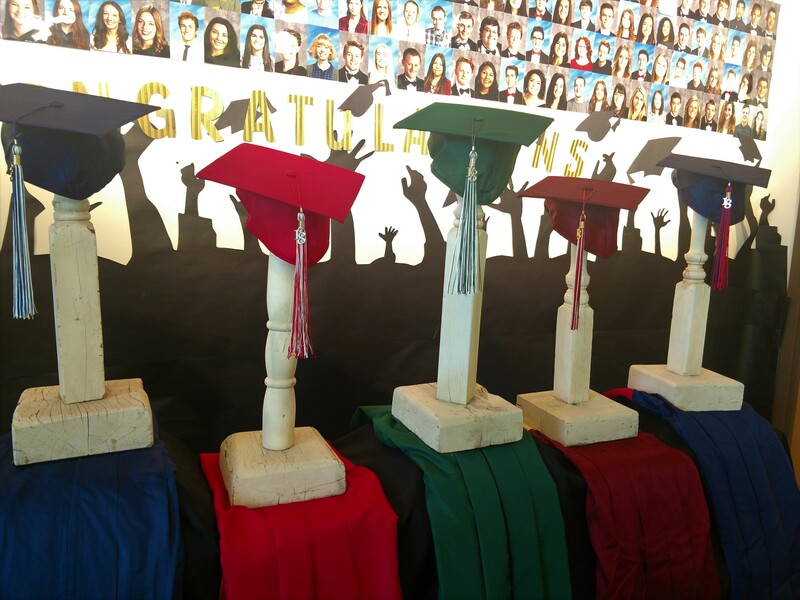 It has caps, gowns and tasssles representing each high school as well. The students have had a fun time walking by and picking out not only their picture, but the pictures of the friends from the different high schools that they have met by attending the ALC. It has been fun to see the bonds that develop, despite the high school the students go to. That is one of the beauties of the ALC. The unified atmosphere that resides in the classes and the halls of the school. We had 274 Seniors atttending the ALC this year from the 5 high Schools. It was a great group of kids. They will go far in whatever path they chose to pursue now that they are graduating. SO AGAIN TO ALL OF YOU.... MAY YOU ACHIEVE THOSE THINGS IN LIFE YOU WANT!! WE LOVE YOU AND ARE SO PROUD OF YOU!! !